I’m a very energetic and joyful Portuguese woman. I’m a powerhouse woman who is so hungry about finding a better way, a better solution, a better life and a better state. I don’t settle for the average! I’m really insatiable when it comes to finding answers that allow me living a joyful and fulfilling life. I am really passionate about studying, learning and teaching. And I just LOVE to LAUGH! Different phases have been playing different and major roles in my life which have been impelling and boosting me up to grow as a human being and motherhood was actually one of the biggest turning points in my life. Why did I think one way and acted in another way? This question haunted me for several years. I never really understood why I would act in a way I didn’t want. Emotions would run out of my control. Fear and anger were always part of my daily life but they were never allowed to come out and be expressed, so many times I felt guilty about my own emotions and reactions. There were moments where I would feel like escaping and checking out from the world and other moments where I would feel so dam angry and guilty for feeling that way. My determination and fighting spirit have always made me pull my socks up and roll up my sleeves (after all, I was an achiever!). Giving up was not an option! So in my resilience and tenacity I continued my search for happiness, balance, tranquility, love and freedom. My relationships have always been not only my biggest and most demanding challenges but also my greatest masters in life (f**ck... relationships are the real deal!) While trying to escape from suffering, along with my hunger for learning, I never stopped looking for better answers to all my dissatisfaction, unfulfillment, frustration, anger and fear. At that time I was far from thinking I was on a personal or spiritual journey. Far from that! I only knew one thing - I wanted to be happy and free and I wasn't... I wanted to be TRULY HAPPY and FREE! In 2015 I came across the name Tony Robbins and decided to also learn from him, applying every single teaching to my life. I was really committed on this journey. I wasn't going to stop. I was ready to go fully in. 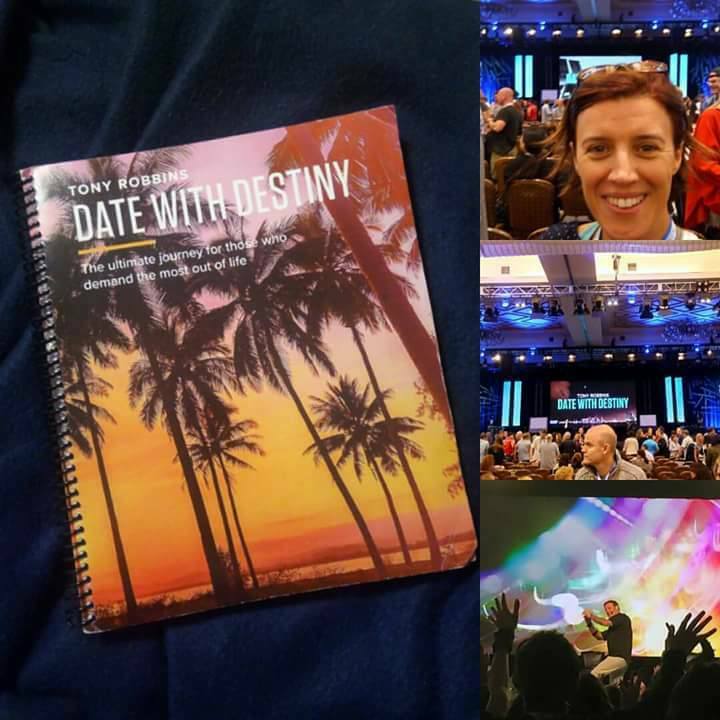 I joined his program to become a coach at Robbins-Madanes Training; I walked on fire at his event Unleash the Power Within, in London; I hired my own coach; I offered 100 2-hour powerful coaching sessions in less than 3 months and in the end of the year I attended Tony Robbins' event Date with Destiny, in Florida. I spent 42 years of my life in captivity, a prisoner of fear and anger which were ruling and dictating my life while my soul was always looking for the way out. I was always in a survival mode. But here's what I know to be my truth: I am not what happened to me. I am who I choose to become! And I get to choose what story to write from now on! Now, I want to give back what has been given to me! I am a Life & Soulful Coach and it’s my deepest desire to help others find their way to happiness and be free from suffering while having a lot of fun in the process. Once my passion is not only learning but also teaching (I have been a high school teacher for 23 years), it is my most profound wish to contribute to the benefit of others, helping others to live happier and passionate lives and to be the best version of themselves. A good and deep conversation does feed my soul. But nothing feeds my soul and heart more than serving others from a place of love and compassion.